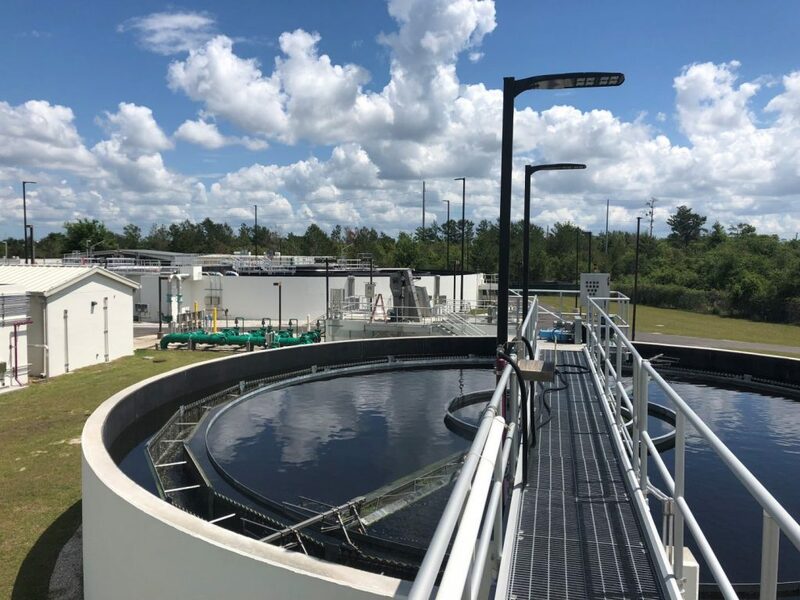 Wharton-Smith Celebrates Completion of the Southwest Regional Water Reclamation Facility | Wharton Smith, Inc.
DeBary, FL – May 1, 2018 – The Southwest Regional Water Reclamation Facility Biological Nutrient Removal project located near Blue Spring State Park in DeBary commemorated their retrofitted Water Treatment Plant opening in an unusual way — using toilet paper in lieu of a ribbon for the traditional cutting ceremony. The expanded plant will reduce the Phosphorus and Nitrogen levels in the Blue Spring State Park as part of the State of Florida’s Springs Protection Initiative. This $12.1 million construction project was funded by Volusia County Water Resources and Utilities, St. Johns River Water Management District and the Florida Department of Environmental Protection. Based on a U.S. Environmental Protection Agency (EPA) analysis, Blue Spring showed concentrations of nutrients that were causing an imbalance in the natural population of aquatic plants and animals. In July 2014, the DEP mandated new water quality standards for the spring, thus the Southwest WRF Nutrient Removal Project was developed. Utilizing the Bardenpho Wastewater Treatment Process, the existing plant was retrofitted with a five stage process that will reduce over 27,000 pounds of Nitrogen per year, and 14,000 pounds per year in Phosphorus. The plant was expanded to accommodate 2.7 million gallons per day (MGD) from the original 1.7 MGD treatment capacity. This expansion will serve a vital role as the City of DeBary (and surrounding area) continues to expand and will accommodate additional future flows from the conversion of existing septic tanks to a sewer system. “One of the team’s greatest accomplishments was the collaborative effort between Wharton-Smith, the Engineer, and the Owner to finish the project successfully and know that it will benefit the environment for years to come.” –Drew Gumieny, Wharton-Smith Project Manager.